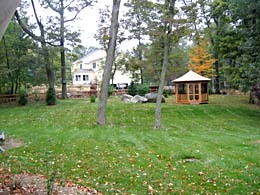 The privacy of this family’s property was destroyed when a developer leveled the woodland behind the lawn and built a large, brightly painted house. 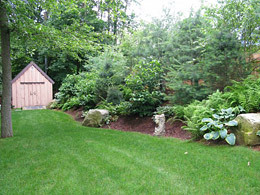 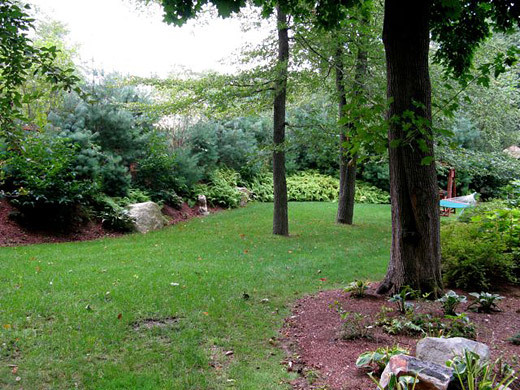 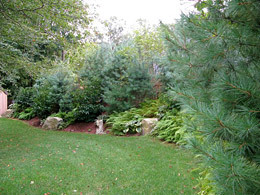 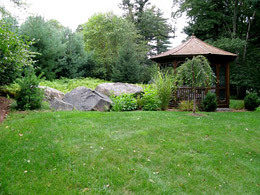 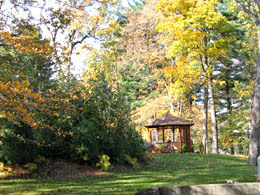 Creating an undulating berm roughly 6′ high and 15′ wide and planting it with a mixture of white pines, river birches, vibernum dentatum and ferns erased the view of the neighbors and reestablished the privacy of the lawn. 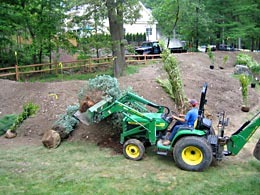 Before the berm, the neighbor’s house loomed over the clients’ property.